Stay in South Tyrol's best hotels! About 3 km from Bolzano, Der Eggentaler is a 3-star hotel 15 km from the Carezza and Latemar ski slopes. It offers an outdoor pool, sun terrace and free ski storage. Fantastic place! Wonderful surroundings and lovely staff! High end restaurant and a large family room with direct access to the beautiful pool area. Easy access from highway and perfect for couples and families. Set in the heart of Bolzano, 200 metres from the cathedral, Parkhotel Laurin is surrounded by a beautiful park where you can dine on warm, summer evenings, or relax by the pool. Excellent overall. Great location. Immersed in the peaceful mountains of South Tyrol, My Arbor - Plose Wellness Hotel offers indoor and outdoor pools, a wellness centre and a restaurant. Total escape! Everything is designed with relaxation and luxury in mind. Everything you need is on hand. Real sense of respect for the environment and surroundings, and the design of the building, fixtures and interiors is stunning. Staff are very helpful and friendly, and made us feel entirely at home. Food & drink good: breakfast buffet was the highlight perhaps (prosecco on tap too if you're feeling indulgent! ), but dinner also good. 5 different saunas and experience was something else - be aware, German sauna rules apply!! Garnì Domus Mea is located in Merano, 500 metres from Tennis Court and 700 metres from Parc Terme Merano. Around less than 1 km from Parc Elizabeth, the property is also close to Therme Meran. 10 to 15mins walking distance from train station. 2 to3 minutes to everything else. Massimo is a great host. My train arrived late but he waited for me for my check in. Boasting ski-to-door access, SPACES is set in San Vigilio Di Marebbe in the Trentino Alto Adige region, 600 metres from Col Toron and 1.2 km from Miara. This 4-star hotel offers a restaurant and a... Stunning location on hill above San Viligio, good for hiking into the mountains and going into the town. Availability of e-bikes / helmets were a bonus too. The staff were very friendly and went out of their way to help us with our trip. Eating breakfast and dinner with panoramic views was amazing. Set in Corvara in Badia, Hotel La Scalira offers a garden. This 3-star hotel offers luggage storage space and free WiFi. I gave this holiday (7 nights) as a present to my mum and dad (70 yo both) and they found the entire experience extremely good. Hotel "La Scalira" is an amazing little jewel in the middle of Badia Valley, 20 minutes walk from the city center of Corvara's city. The staff hotel is really friendly ( family conducted ) and they provide an excellent service. The bedroom was comfortable and big (with a sofa, and a big armchair). The toilet inside the bedroom extremely clean with a good strong shower system. All the entire furniture was newly upholstered with rich fabrics with a lovely balance of colors. and It was also possible to park for free behind the building and a second entrance was possible to use (with personal pass-code). It was a REALLY worth and romantic holiday with an intimate atmosphere. Common areas were all really clean and always tidy. The Breakfast was extremely rich of everything (try the milk, amazing taste, like "fresh, just take from the cows!"). 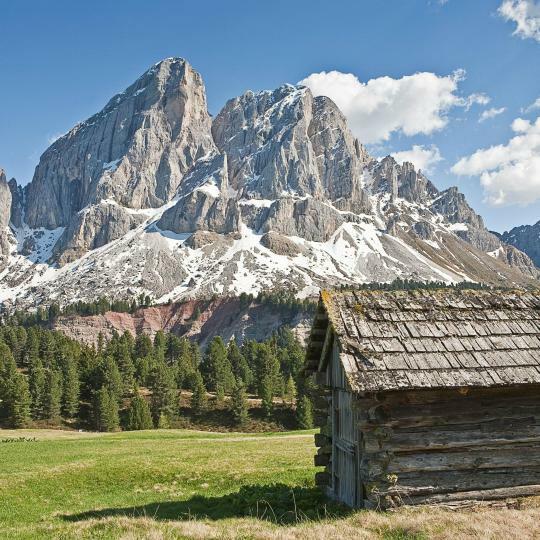 Active Hotel Sonne is located in Gais, 60 km from Cortina d’Ampezzo. Guests can enjoy the on-site bar and relax in the garden. We enjoyed very much the breakfast and the coffee. The internet connection was very good. Room was cleaned daily. Was surprised to receive some small gifts when checking out.. Good private parking. Would definitely recommend the stay! Set in La Villa, Hotel Savoy features free WiFi access and a wellness centre with hot tub, hammam and sauna. Excellent location and friendly staff. We enjoyed the spa and the very good food. Featuring free WiFi and a restaurant, Tenne Lodges offers pet-friendly accommodation in Racines, 100 metres from Ratschings-Jaufen. Guests can enjoy the on-site bar. One of the best hotels I've ever stayed in. Garni Appartement Trojer is located in Campo Tures, 2.2 km from Skischulbahn, and features free bikes, barbecue facilities and a garden. The property is set 2.5 km from Speikboden. Offering a free spa and surrounded by gardens and a park, Hotel Hubertushof features elegant rooms with a balcony. With free Wi-Fi and free BBQ, it is located 1 km from the Rienz ski lifts. We really liked the spa and the buffet breakfast. The view from our room is impeccable. Hotel Sonnenheim is situated on a hillside location, a 10-minute walk from the centre of Vipiteno and a 5-minute drive from the Monte Cavallo ski lift. It offers free Wi-Fi in public areas. The best spot for an overnight stay, close to the Brennero on your way to Italy or back. Steindl's Boutique Hotel is a 5-minute walk from the centre of Vipiteno and 300 metres from the cable car to the Monte Cavallo ski area. It features a sauna and a sun terrace. This hotel is just amazing. well designed, located right near the center of town but yet very quiet. Surrounded by the Dolomites, Dolomitenhotel Weisslahnbad offers an indoor pool and table tennis. Guests can relax in the sauna. This is the most relaxing friendly hotel I have ever stayed in. Overlooking the Dolomites and set 3 km from the Plose ski area, family-run Hotel Fischer offers a free infinity pool and a free BrixenCard. The complete concept one price for Stay, diner and breakfast, great value for your money. Surrounded by the Dolomites, Hotel Restaurant Lilie features a sauna and Turkish bath. It offers elegant-style rooms with free Wi-Fi access. Rooms all come with wooden floors and a satellite TV. Beautiful Hotel and the staff were fantastic! Located 2.5 km from Bolzano centre, Hotel Hanny features a garden, terrace and à la carte restaurant. It offers free Wi-Fi in public areas and accommodation with a private bathroom. Very friendly family owners. Exceptional breakfast! Located in the village of Planca di Sotto, the Waldheim Hotel has a Tyrolean restaurant, a sauna and a hot tub. It offers Alpine-style rooms with a balcony with Dolomite Mountain views. Only 300 metres from the Langenstein ski slopes, Bed & Breakfast Hotel Nives is in Solda town centre. It boasts modern rooms with free WiFi and a mountain-view balcony. Ski storage is also available. I found this little gem last year by accident. Lake Prags is the starting point for the Dolomite High Route footpath and, according to legend, a doorway to the underworld. Enjoy a day on the slopes and ski through 3 Italian provinces by circling one mountain massif. The Renon cable car will take visitors to a plateau featuring famous local earth pyramids, castles and an electric vintage railway. 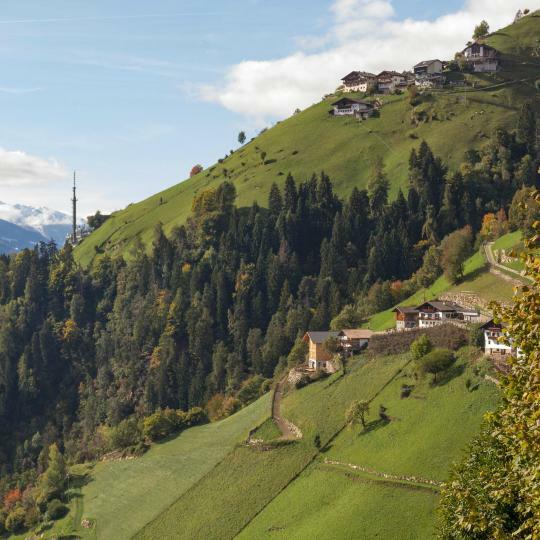 These steep mountain pastures unfold some of the oldest characteristic farmsteads around, and delicious regional snacks can be sampled along the route. These colourful botanical gardens guarantee fascinating and peaceful strolls. They include 80 themed gardens, art installations and activity centres. 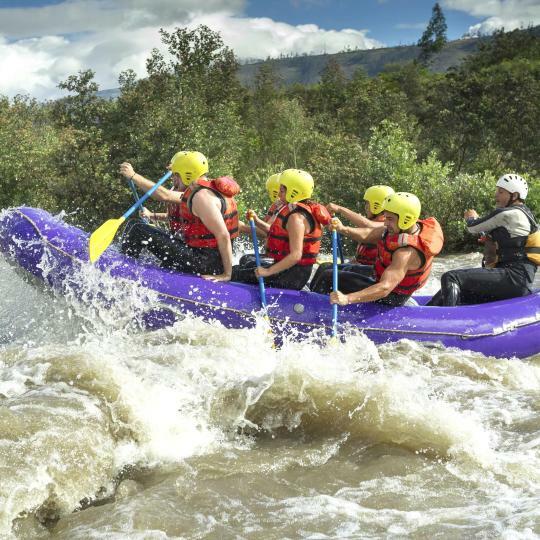 For exhilarating fun and adventure, canoeing and rafting in the wild mountain streams of Valle Aurina will not disappoint. Lush meadows and cool mountain streams need to be crossed to reach the captivating Pisciadù waterfalls. Hike or cycle along the vineyards of 16 wine growing towns, and discover hidden treasures in the wine cellars. 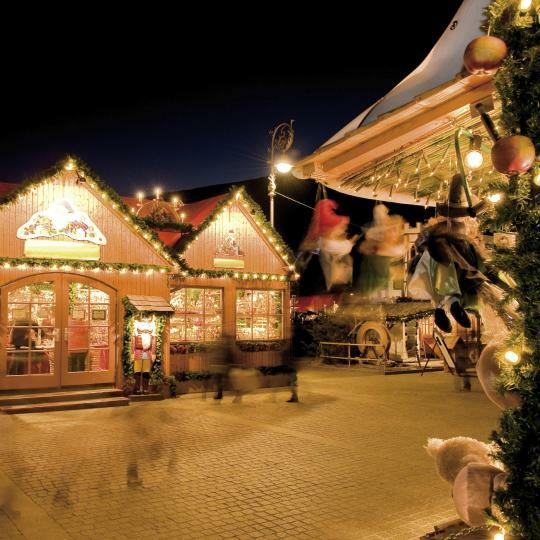 Shop for presents and souvenirs at the bustling markets while enjoying traditional Christmas music and South Tyrolean specialities. The Grosser Peitler and Kleiner Peitler summits offer spectacular mountain views, especially when complemented with South Tyrolean cuisine and a cool beer. 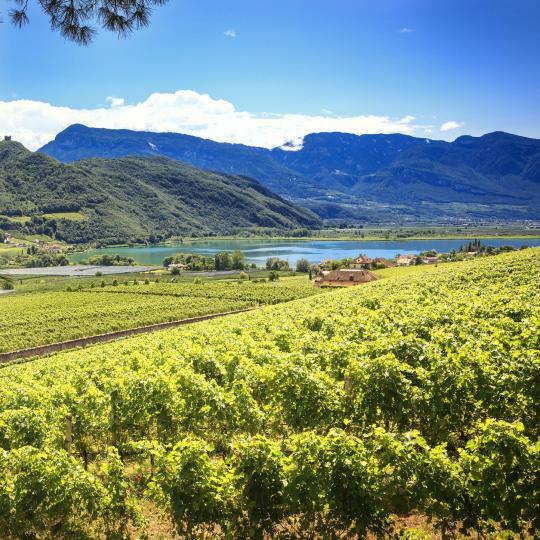 Part of the Alpine regions of northern Italy, this small province mixes great ski slopes, rich traditions from Austrian, Italian and Ladin cultures, stunning landscapes, and great food and wines. Seasons make no difference here, as the enchantment of South Tyrol has always something magic to offer. With strong cultural and historical bonds with the Austrian Tyrol, this tiny region has a population with a German-speaking majority. The charming towns spread through its undulating geography mix the Tyrolese and Italian influence. In the picturesque capital Bolzano, the Walther Square with the Cathedral of The Assumption of Our Lady and the trendy shops along Via dei Portici are a must to visit. Known also as Bozen, it is famous for the Christmas Market, where most of the hotels in South Tyrol get sold out quickly. 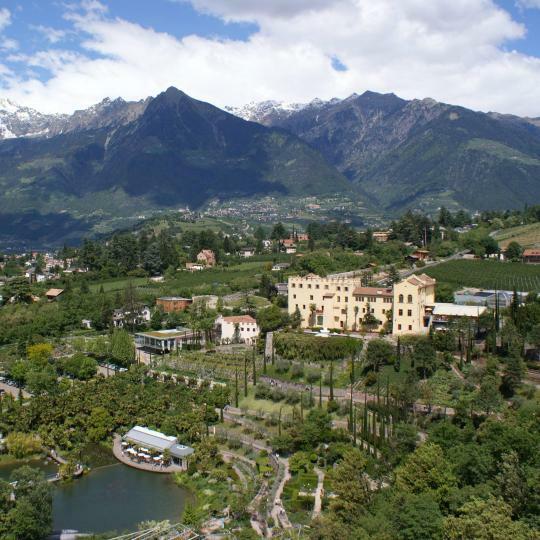 Merano is the 2nd city in the region and is famous for its spa facilities. And of course, also some the best luxury hotels in South Tyrol are located here. 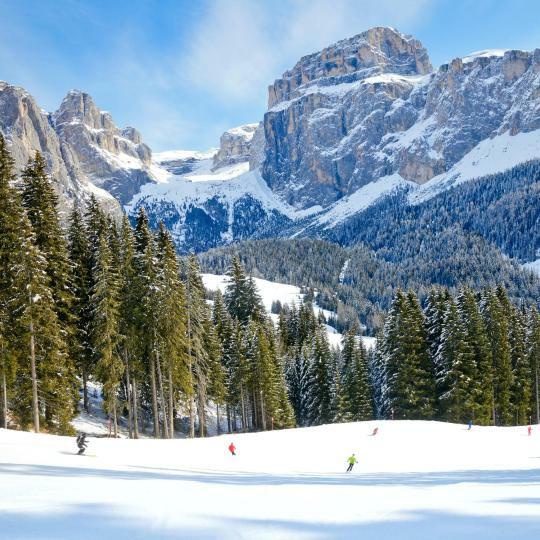 When you talk about Südtirol, it is also important to mention skiing in the Dolomites, Val Badia or Val Gardena: white beauties that you won’t be able to resist. 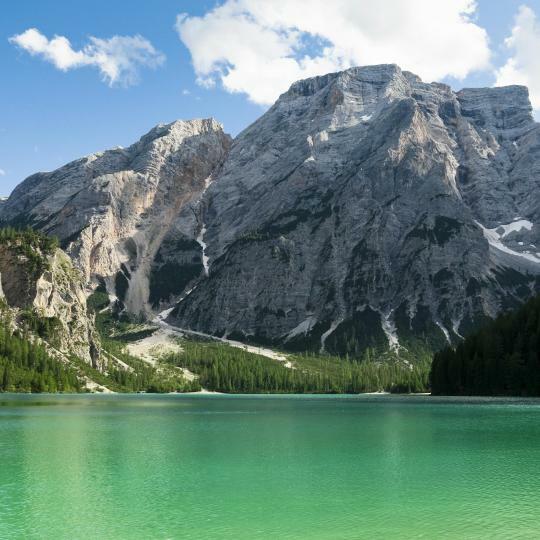 Come to this magic land, and find the best hotels in South Tyrol on Booking.com! Location was fantastic, it was easily accessible by car and within walking distance of Schlanders and a few local restaurants. The view from our room was incredible and Roberto, the host, was so friendly and happy to offer advice on activities we could do in South Tyrol. Breakfast was easily the best we ate in Italy - there are lots of options that are locally sourced/made and Roberto was always happy to make up a pot of hot chocolate for us. We highly recommend staying at Feldgartenhof, we'll definitely be back! The guesthouse is family run and decorated both in a homely way and has traditional south tyrol furniture / wooden styles. The food is good and all local. The staff were nice. Located right nearby to the Alpi De Suise cable car, a short bus ride away. Plenty of parking outside the property, and even some by the road. Bus stop is right outside. Quiet, as the property is up a ramp away from the road. A free weekly bus pass was provided by the property for local bus usage. Everything: Absolutely beautiful place to refresh and recharge. Very modern hotel with a true Austrian spirit has everything you need: cozy bed, spacious rooms, good breakfast and super-friendly hosts. Add to it gorgeous views, swimming pool and outside gym - and you really get a perfect place to stay. Was surprised by its only 3 stars - don’t pay attention to it, hotel is amazing. Absolutely recommend and if to come to South Tyrol, it’s definitely a place to stay. The hotel was very nice. Maybe due to the room they gave us is great. Very traditional decorations and furnitures(while bathroom is modern and I love the towels), plus being very spacey for 2 people. The location is great, short walk to the Brixen town centre while just across the road from the train station. And you get free public transports around most south Tyrol, for us who didn't want to drive it was quite perfect. 1. Staff is very friendly - always helps you when you ask, provides useful information 2. Breakfast is great - jogurt, eggs, bread, cheese, flakes, cappucino, fruits, etc... It is more than enough to get full and ready to go hiking or other activities 3. You get opportunity to visit swimming pool for free! 4. 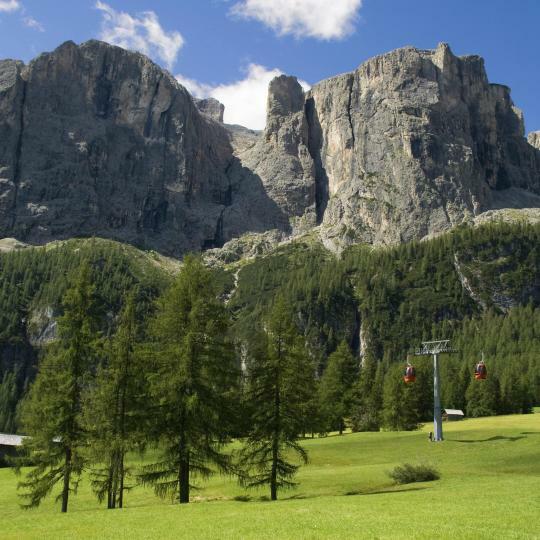 You get option to use buses of South Tyrol for free! We booked without knowing we'd be there OPENING NIGHT! The staff was overwhelmed with what appeared to be all the golfers in the South Tyrol dining and drinking and celebrating the opening. But that staff worked very, very hard to be sure a nongolfing, nonwealthy, nonEuropean family with a dog was happy. I think the bugs will be worked out very quickly. Excellent service and hospitality. Very helpful staff (Gonzales and the Cuban waitress). Superb location right opposite the bus stop and close to the ropeways. The guest pass for commuting by bus and train within South Tyrol was very useful and helped save money. It's really value for money to stay here. I highly recommend it. Very nice location, staff and house. We are a family and we had a very nice apartment. Well equipped and clean. Bolzano card is provided which would basically provide free transportation in South Tyrol, even some cable cars and museums are included. Staff are really helpful and welcoming! Wifi,friendly staff,location,great facilities especially sauna,big room. Just to inform that you will get 7days of free public transportations across south tyrol. Thank you so much elena and husband for the treats! Surely gonna choose this place if I come here in the future. Everything was just perfect. We really appreciated an Algund Card. It allows you to use the public transport, some cable cars a visit museums in South Tyrol for free. The breakfast war very tasty, everything fresh. Plenty of choices for vegetarians. Spacious 3 room apartment on edge of forest. Helpful host. Short distance from Bruneck (1.5km). Free Holiday Pass for 7 days, providing free bus & train travel in South Tyrol plus discounts at various attractions. Lovely staff, great bar and restaurant, spotlessly clean. It’s the South Tyrol, an autonomous region of Italy that looks and acts like Austria (architecture, style, order) but speaks Italian (mainly!). The staff were extremely kind, helpful and friendly. Bike rentals were provided free of charge. The hotel and room were beautiful. Definitely a great place to stay in South Tyrol! The friendly, caring hosts and beautiful surroundings made for an unforgettable holiday! 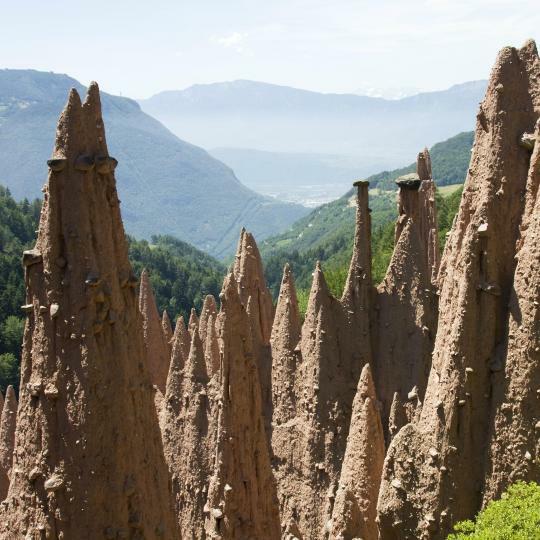 A perfect point from which to explore what South Tyrol has to offer. It was so beautiful! We visited the hotel during our honeymoon and it was amazing! The food was delicious and the room view onto the mountains was spectacular! Loved it!